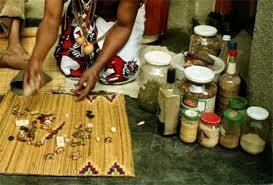 Traditional healers in South Africa are practitioners of traditional African medicine in Southern Africa. 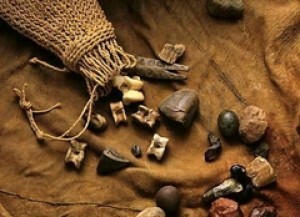 They fulfill different social and political roles in the community, including divination, healing physical, emotional and spiritual illnesses, directing birth or death rituals, finding lost cattle, protecting warriors, counteracting witches, and narrating the history, cosmology, and myths of their tradition. 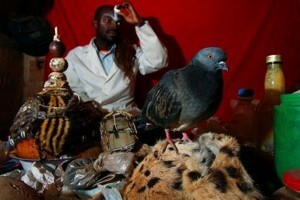 There are two main types of traditional healers within the the diviner(sangoma), and the herbalist(inyanga). 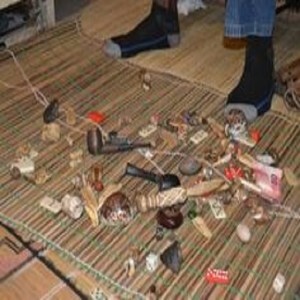 Although sangoma is a Zulu term that is colloquially used to commonly describe all types of Southern African traditional healers, there are differences between practices: an inyanga is concerned mainly with medicines made from plants and animals, while a sangoma relies primarily on divination for healing purposes and might also be considered a type of fortune teller. Traditional healers can alternate between these roles by diagnosing common illnesses, selling and dispensing remedies for medical complaints, and divining cause and providing solutions to spiritually or socially centred complaints.